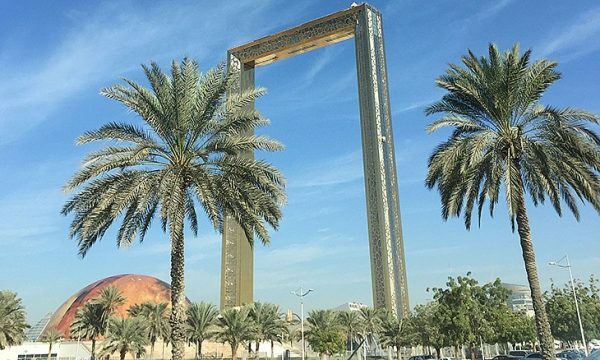 Opening of Dubai Frame pushed back to January 2018. 11 takeaways from the $2.3 billion worth of art sold in NY last week. Guantanamo prisoners don’t own their own art. Adidas settles lawsuit for launching “Art Basel” shoe without authorization. Monet’s glasses sell for $51,000 in Asia. Jake Gyllenhaal set to take role as art critic in new movie. Using AI to identify good investments in art. The next novel use for AI might be in authentication and identifying forgeries. $10 flea market find might be a photo of Billy the Kid and worth millions. Lineup for Pacific Standard Time’s performance art festival announced. Thief walks out of gallery with a €425,000 bronze. Two suspects charged. Doubts Leonardo da Vinci painted the $450 million Salvator Mundi. Madsaki talks ahead of his exhibition at Galerie Perrotin Seoul. An interview with Dalek on the return of the space monkey ahead of his Thinkspace show. Audrey Kawasaki already at work on her new mural for Art Basel Week Miami. Swoon working on a new series of art under glass domes. Cai Guo-Qiang to detonate artwork in Chicago for 75th year anniversary of 1st nuclear reaction. An interview with Kehinde Wiley. Oscar Murillo hangs his black flags in Palestine. Katy Perry and Urs Fischer create sculpture together. How Yayoi Kusama built a market for her work. Categories: Contemporary Art, Features, Low Brow & Pop Surrealism, Overtime, Street & Urban Art. Tags: Contemporary Art, Features, Low Brow & Pop Surrealism, Overtime, Street & Urban Art.